Resuscitation-May one sign a DNI/DNR/AND order for himself, or for a patient under his care? Understanding resuscitation and DNI/R consent forms: Resuscitation attempts [i.e. C.P.R.] of one who is under cardiac arrest, or has experienced lung [i.e. respiratory] failure, is a common and proven method of saving and/or prolonging the person’s life. Often a patient with lung failure will be attached to life support and be able to live an extended period of time in this method. In other instances, the lifesaving C.P.R. can return a natural pulse and/or breathing to the patient and allow him to live for many years longer. While in normal circumstances, the legal and Halachic protocol obligates the administering of C.P.R. and other lifesaving techniques to a patient in need, the question is raised as to whether one is obligated to perform these lifesaving techniques on a person with a terminal illness, whose quality of life is in any event filled with pain and suffering. Must one extend or help save the life of one who in any event will die in the near future, and whose quality of life is compromised, or is one allowed, or even encouraged, to not perform these lifesaving techniques in order not to increase and prolong his life of misery? From a legal perspective, absent of any signed directive to do otherwise, the universal protocol of medical practitioners, and hospitals, is to always administer CPR and other life saving techniques to all patients, irrelevant of their medical status. However, hospitals do offer the patient, or their health care proxy, the ability to choose to not resuscitate them in the event that they experience cardiac arrest or lung failure, and they will thus allow the patient to die. This is known as a DNR/DNI consent form. If one signs the form, then the hospital, or other medical practitioner [i.e. EMS], will abstain from administering these lifesaving techniques onto the patient if needed, while if the form is not signed, then the normal protocol of CPR is in place. We will now deal with this question from a Halachic perspective, and as to whether one may, should, or may not, sign the above form. In all cases that the patient is not suffering from a terminal illness, it is forbidden to sign a DNR/DNI/AND irrelevant of how much pain the patient is currently in. A terminal illness is defined as any illness that is not curable and will result in certain death [i.e. Cancer, in different forms and stages; ALS]. If the patient is possibly curable, or the illness is not expected to lead to death, it is forbidden to sign a DNR/DNI form irrelevant of the amount of pain the patient is in. Thus, one who enters the ICU with lung failure due to a trauma injury [i.e. accident], or due to consuming poison, must be attached to a ventilator to help him breath, as often such an individual will recover lung function after the poison leaves the body, and he recovers from the trauma. If the patient is suffering from a terminal illness, which is both not curable and will lead to certain death, but is not found in a state of constant physical pain, then it is forbidden to sign a DNR/DNI even if this is the will of the patient. This applies even if the patient is depressed and has lost the will to live due to other factors. Patient is in state of Gesisa: If the patient is already in the active state of Gesisa [i.e. imminent death] due to his illness, such as one who has severe and unretractable brain death, then one is permitted, and even obligated, to sign a DNR form, even though the patient is not in pain. Cardiac arrest or lung failure is a result of illness: Some Poskim suggest that if the patient entered cardiac arrest or lung failure as part of the deterioration of his terminal illness, then there is no obligation to resuscitate him even if the patient is not in pain, such as one with dementia, or in a coma. If, however the cardiac arrest or respiratory failure is due to a side problem, irrelevant of the terminal illness, then one is to resuscitate, unless the next exception applies. If the patient is suffering from a terminal illness, which is both not curable and will lead to certain death, and is found in a state of constant physical pain [i.e. cancer; ALS], then if the patient does not want to continue to live in this state, the Poskim rule that it is permitted, and possibly even obligatory [based on directive of a Rav], to sign a DNR/DNI. If, however, the patient expresses desire to continue to live despite his suffering, it is forbidden to sign a DNR/DNI. One is to try to speak to the patient and express to him the spiritual greatness of even one moment of life, and if he nonetheless decides that he does not want to continue to live in this state, one may and should sign the DNR/DNI consent form. What treatments may be refrained from this type of patient? In general circumstances, the Halachic allowance of a DNR/DNI order to a patient in the above state is limited specifically to abstaining from performing CPR and intubation in the event of a cardiac arrest, or lung failure. All other medical treatments, however, must be continued for even this patient, including all forms of medicine, oxygen if the patient needs help breathing, and dialysis if the kidneys fails. If one is terminally ill, he, or his health care proxy, is not to sign on a DNR/DNI form unless they have discussed the matter with a competent Rav in this field, and received his directive to do so. 1. Is the illness Halachically deemed incurable and will it lead towards certain death? What is the estimate of his physician, and what is the standard medical practice? 2. Is the patient found in enough pain to justify a DNR/DNI even in the event of terminal illness? How often is his pain? How strong is his pain? 3. What is the patient’s opinion on the matter? In the event that it has been Halachically determined through a Rav that one may sign a DNR/DNI order, one must verify with the medical facility the exact definition of this order, and all treatments it includes and excludes. Some medical facilities will interpret the order to include refraining treatments other than the CPR and respiratory machine. A full discussion with a health care provider is critical so everyone understands the circumstances under which a DNR, DNI, or AND order would go into effect and the specific actions that will or will not be taken. DNR/DNI/AND decisions are reversible and can be withdrawn at any time. In addition, the healthcare team must confer with you periodically (every few days or weeks) to verify that you still want the DNR/DNI/AND order in place. It was 2:00 am when the Rav received the terrifying phone call from a hysterical individual who had just been informed that his mother had only hours to live, unless they attach her to life support. You see, his mother was suffering from a vicious and malignant tumor, from which there was no foreseen medical hope of recovery. She had been living a years’ worth of pain and agony from the illness. That night she experienced failure of various organs, as a natural cause of the illness, and entered into a gradual state of irreversible brain damage, which would eventually lead her to complete lung failure and death, unless she were attached to life support. The doctors wished to know how to proceed, and as to the will of the family as to whether they want their mother attached to life support, or to allow her die. They had a half hour to play with to make their decision, and so they frantically called the Rav. 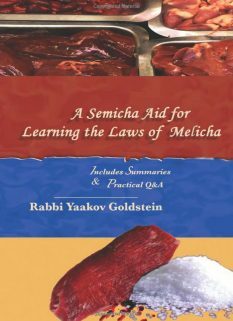 The Rav, weighing the heaviness of this question, and how literally the life and death of a Jewish soul laid in his words, went on to consult with one of the Gedolei Haposkim who ruled to him that based on the current description of the terminal illness, her great suffering, and her current state of deterioration, it would be encouraged not to place her on life support or delay her death. Upon learning the answer, the relatives immediately signed the DNR/DNI consent form, and within the next half hour, indeed their mother passed away. May her soul be blessed. Eli, who was suffering from dementia as a result of recurrent strokes, was not eating and the doctors could not understand the reason for his loss of appetite. While doing a feeding tube operation they discovered abnormalities with the pancreas, and indeed after a quick diagnosis, they discovered that the patient was suffering from stage 4 pancreatic cancer, one of the deadliest cancers in the world, with an only 5% recovery rate. The doctors gave him six months to live. Following protocol in such situations, they asked the family to decide on how to proceed with regards to DNR/I consent forms, and they strongly suggested to sign the form, as the patient has no chance of recovery, and is living a very bad quality of life. The family debated the issue amongst themselves and spoke to one of the Poskim of a known Rabbinical medical ethics organization, as to how to proceed. One family member returned with a Psak from that Rabbinical board, to sign the form. However, a debate ensued from one of the learned sons, saying that since their father was not in a noticeable state of pain, due to his severe state of dementia, therefore the form should not be signed. The above Posek who gave the go ahead ruling was thus contacted and informed that indeed the patient does not seem to show pain from the illness, and the doctors likewise agreed with this analysis, and his Psak should therefore be rescinded or revised. He therefore conferred with the leading Posek of the organization, who is one of the Gedolei Haposkim of today, and indeed the directive came that under the above circumstances of no pain, the consent form should not be signed. The form was therefore not signed, and the patient was brought to a hospice facility, to remain there for the duration of his illness. Skip a few months and we are now hours away from the wedding of the daughter of this patient, which is taking place thousands of miles away from their father, and a frantic phone call comes from the doctors of the ICU department of Cornell university. They have very unfortunate news to relay. Their father underwent a massive heart attack, and has suffered severe, and irreparable, brain damage and lung failure. However, being that they did not sign the DNR/I form, he was immediately resuscitated, and attached to life support. He is thus still alive, but may leave this world at any moment. As you can imagine, the gruesome news entered the family into pandemonium, as aside for the intrinsic devastation of the news, if their father passes away before the Chuppah, the wedding will need to be postponed until after the Shiva, and the Chuppah is only hours away! 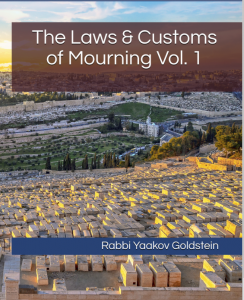 A decision was immediately taken, based on the directive of a Rav, to inform the medical facility that no one should be told of the death until the next morning, in order for the wedding to be able to take place. Indeed, there was no phone call, and the wedding was a joyous event as every wedding should be. The Kallah, knew nothing of what was going on, although her siblings were deeply distraught, not knowing to what news they would wake up to after the wedding. The wedding was naturally bittersweet for these siblings, dancing with sorrow and joy. After the wedding they discovered that their father was still hanging on to life. Miraculously, above all expectations, he went on to live for another three months. 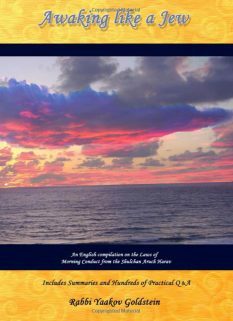 In this story, we see the revealed Divine providence in not having signed the DNR/I order, as required by Halacha in such a situation, as if it would have been signed, it would have caused him to pass away only hours before the wedding and create an unimaginable reality and pandemonium of delaying the wedding just hours beforehand. May his soul rest in peace! On the 27th of Adar Rishon 5752/1992 the Rebbe received a debilitating stroke while at the Ohel of his father in-law, the Rebbe Rayatz. 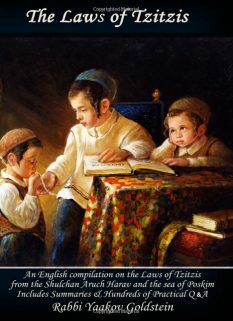 While the Rebbe’s mobility of his right side, and his speech, was impaired as a result, the holy Tzadik’s mind was completely lucid and clear, and many severe questions were answered by the Rebbe, through the nod of his holy head. The Rebbe saw and understood all that was occurring around him. However, exactly two years later, on 4:00 a.m. Thursday morning, on that same fateful date of the 27th of Adar, the Rebbe received a second severe stroke while at a Manhattan hospital, which this time left the Rebbe with 98% brain damage. The doctors caring for the Rebbe explained the seriousness of the situation to the Rebbe’s secretaries, who acted as his legal health proxies, and that they need to consider signing a DNR/DNI consent form. The secretaries decided to send the weighted Halachic question to one of the world’s leading Poskim, Harav Shlomo Zalman Aurbach of Jerusalem. Harav Yossi Eizanbauch of Bnei Brak was contacted by Rabbi Groner and asked to approach Rav S.Z. Aurbauch with the question, although the Rebbe’s name is not to be mentioned, and it is to be asked anonymously. 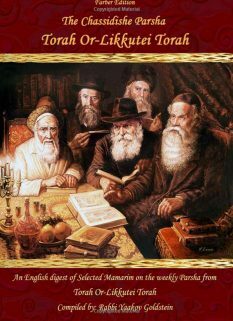 Rav Yossi Eizanbauch asked the weighted question to Rav S.Z. as to whether a DNR/DNI consent order should be signed for the “anonymous” patient, and the Rav replied that he sees his years are limited and that he has thus stopped answering such weighted questions due to fear of the heavenly court which he will soon face. Rav Eizanbauch thus had no choice but to reveal to Rav Shlomo Zalman the identity of the patient, and that it was none other than the Lubavitcher Rebbe. Rav Shlomo Zalman, being taken by surprise, replied that he should return in an hour for an answer. 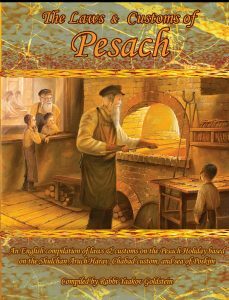 After the hour, the renowned Posek replied that every moment of the Rebbe’s life is precious, and thus they are to do everything possible to keep him alive, even if it entails resuscitation. [This was unlike Rav Shlomo Zalman’s approach of ruling throughout his life, in which he directed for the consent form to be signed in similar and even much less severe situations.] 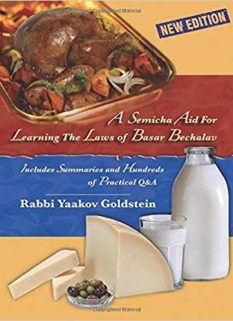 As a result of this Psak, when the Rebbe later went into cardiac arrest on 7:00 am Shabbos, the 2nd of Tammuz, they immediately began efforts of resuscitation, and indeed after 50 minutes of CPR, the Rebbe’s pulse miraculously returned and stabilized. The doctors had never seen anything like this before, that a pulse returned after 50 minutes. They were absolutely amazed, and shocked like they saw a ghost, as from a medical perspective this was literally a resurrection. That evening on 1:00 am Motzei Shabbos, the Rebbe had a further cardiac arrest, and this time the resuscitation efforts did not bear fruit, and the Histalkus of the Holy Tzadik occurred on the special day of Gimel Tammuz. A DNI or “Do Not Intubate” order means that chest compression’s and cardiac drugs may be used, but no breathing tube will be placed. A DNR or “Do Not Resuscitate” order applies to situations where the patient has a respiratory arrest (stops breathing) or a cardiac arrest (heart stops beating). DNR means that no CPR (chest compressions, cardiac drugs, or placement of a breathing tube) will be performed. An AND or “Allow Natural Death” order is a term used at some hospitals as an alternative to the more traditional DNR order. While a DNR simply states that no attempts should be made to restart breathing or restart the heart if it stops, an AND order is used to ensure that only comfort measures, designed to provide excellent control of pain or other symptoms, are taken. This includes withholding or discontinuing resuscitation, artificial feedings, fluids, and other treatments that prolong the dying process without adding to the patient’s quality of life. Allowing a natural death means not interfering with the natural dying process. It also means that every effort will be made to have the patients time of death be calm and peaceful, with him surrounded by as many family and friends as you wish. Cardiopulmonary resuscitation (CPR) is a lifesaving technique useful in many emergencies, including a heart attack or near drowning, in which someone’s breathing or heartbeat has stopped. The American Heart Association recommends that everyone — untrained bystanders and medical personnel alike — begin CPR with chest compressions. It’s far better to do something than to do nothing at all if you’re fearful that your knowledge or abilities aren’t 100 percent complete. Remember, the difference between your doing something and doing nothing could be someone’s life. The reason: As it is an obligation for one to do all in his power for himself, or another Jew to live, and we do not have any precedent to allow, or not prevent, shortening of life simply to ease one of pain. See Poskim ibid that the allowance is only if the person is in pain, as we should not actively lengthen a painful life that in any event contains a terminal illness. How to answer the source from Admur 329:3 that one may desecrate Shabbos for even momentary life: See footnotes above. Vetzaruch Iyun! This follows the ruling of Rav Elyashiv, and possibly also Rav SZ”A, quoted above in C, that if there is no pain, one is not to sign the form.